Brooklyn is situated on the western end of Long Island, across the East River from Manhattan. Nearest hotels from the cruise terminal are only a short cab/free shuttle away in Brooklyn’s Red Hook and downtown area. Downtown New York City, Manhattan hotels are less than 30 minutes away. When flying into one of New York’s airports, many reasonable priced hotels and affordable motels are located within close distance of all airports. Free shuttles are provided by many hotels. A large number of accommodations are located within short distance of the terminal. 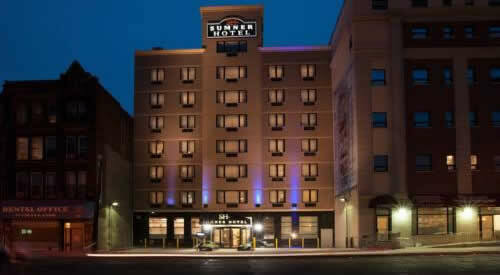 Closest hotels from Pier 12 are budget-friendly Comfort Inn Brooklyn (complimentary shuttle service) and Motor Inn. Popular Aloft Hotel, Indigo and NU Hotel, located in downtown Brooklyn, are only a short cab ride away. When visiting New York City before or after your cruise, midtown and downtown Manhattan hotels are less than 30 minutes away. Another option, particularly for a weekend departure, is to stay downtown in Manhattan (in the financial district). Prices tend to be good on weekend nights because business travel drops off. Plenty of establisments can be found also close to all NYC airports. Many offer a free airport shuttle. Central Brooklyn hotel located close to Pier 12 cruise terminal building. 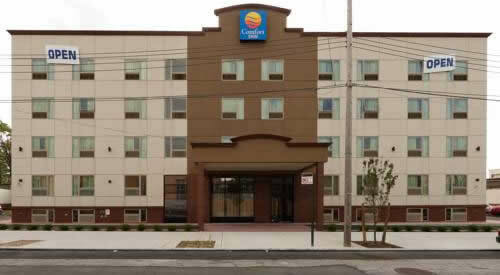 Budget friendly hotel located in Brooklyn, less than 30 minutes’ metro ride from Manhattan. 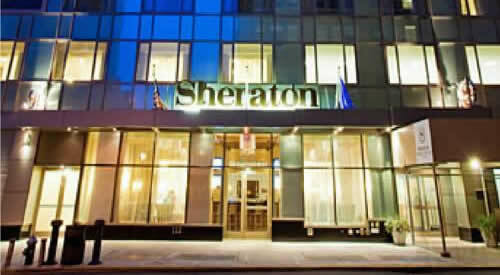 Four star downtown Brooklyn NY hotel, very close to Hoyt Street Subway Station. The Brooklyn cruise ship terminal is located at Pier 12 in the Red Hook area of Brooklyn NY, just across from Governor’s Island in the Atlantic Basin on Buttermilk Channel. Opened in 2006, it serves as an embarkation or disembarkation point for cruise passengers sailing with Cunard, Princess Cruises and other vessels from the Carnival Corporation. Cunard’s flagship “Queen Mary 2” offers transatlantic cruises that either start or end in Brooklyn and Southampton UK. QM2, christened in 2004 by Queen Elizabeth II, is the longest, widest and tallest transatlantic passenger liner ever built in history. Princess‘ ships sails from the port to New England, Canada and the Caribbean. Cruises from the greater New York metropolitan area depart either from the Brooklyn Cruise Terminal, Manhattan Passenger Terminal or from the Cape Liberty cruise port in Bayonne New Jersey. Shops and restaurants — numerous restaurants and shops can be found in Smith Street, in the Boreum Hill/Cobble Hill/Carroll Gardens neighborhood. Also Red Hook’s Van Brunt Street is just a short walk from the cruise terminal and has a number of different restaurants to choose from. The Red Hook neighborhood is not well served by public transportation. Travelling by metro, bus and all other options to travel to the cruise terminal require changing to a bus and walking 4+ blocks. We would suggest not to use public transit to get to the cruise terminal. The best option is to take a cab, charter bus or limo/sedan. see also : Boston Cruise Port Hotel, Baltimore Inner Harbor, Montreal QC Canada and Quebec City Terminal de croisieres. Parking — plenty of secured on site car parking, both short term and long term, is available at the Brooklyn Cruise passenger terminal. You don’t have to make reservations in advance. Handicapped spaces are available. GPS address is 72 Bowne Street Brooklyn, NY 11231. The entrance to the terminal is at the corner of Bowne and Imlay Streets in Red Hook, Brooklyn NY. The entrance to the terminal is at the corner of Bowne and Imlay Streets in the Red Hook area. Take the Battery Tunnel (I-478-E) into Brooklyn. Than continue onto the westbound Brooklyn-Queens Expressway (I-278-W) and immediately take the first exit on the right: Exit 26- Hamilton Avenue onto the service road. Stay to the left and make a left-U-turn at the intersection of Hamilton Avenue with Clinton Street/9th Street, then continue west along the westbound Hamilton Avenue service road. Continue on the service road to its end at Van Brunt Street. Turn left at Van Brunt Street, travel 2 blocks and then turn right onto Bowne Street to enter the terminal. NYC Airports — the closest airport from Pier 12 is LaGuardia Airport, less than 30 minutes away. Both JFK and Newark Liberty International airports are within easy reach. Newark Liberty Airport (EWR) is a bit further away and it will be the most expensive option because of tolls. Shuttle transport services are offered by cruise lines to/from the airport. Cabs are readily available from each airport. Estimated Yellow Taxicab fare rates, where tolls and tips are not included. Rates are subject to change without notice. Brooklyn is the most populous of New York City’s five boroughs. From the borough you have a splendid view of the Statue of Liberty in the New York Harbor and the Manhattan Skyline. We offer you a variety of hotels, motels and apartments near the Port of Brooklyn, so you will always find the best solution for your cruise vacation. New York is unlike any other city in the world. From the quiet in Central Park to the bustle of Times Square, the Big Apple is full of iconic architectural landmarks, amazing views, museums and cultural venues. 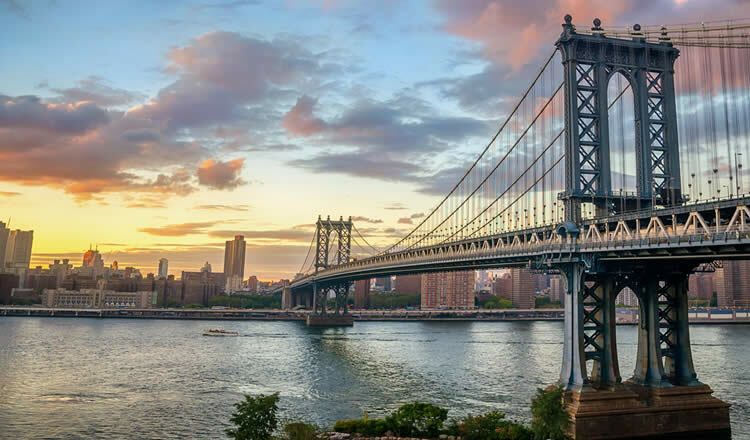 Brooklyn is connected with Manhattan by 3 bridges: Williamsburg, Manhattan and the world famous Brooklyn Bridge. In Brooklyn visit the Brooklyn Museum, one of the largest art museums in the United States. Nearby Brooklyn Bridge Park offers really fantastic views of the Manhattan skyline. Far beyond the bridge are the upper floors of the Empire State Building and the Chrysler Building. A must see is the Green Wood Cemetery. Tour guides will provide stories of the famous people buried here. Historic Heights Promenade is a wonderful spot to stroll, sit and watch people and boats going along the water. In the distance is the Statue of Liberty and Ellis Island, the first stop in the past of so many immigrants. A fun thing to do is to walk the Brooklyn Bridge at night and see the lights of Manhattan. Some hotels offer a complimentary transport shuttle service to/and from the cruise ship terminal at Pier 12 in Red Hook.